Developing your project team is one of the most important parts of managing a project. The PMP Certification Exam will expect you to have a good grasp on the tools at your disposal for this process. Some teams use a team operating agreement to document their team approach. A team operating agreement might include the team’s values and principles, meeting guidelines, and direction on when decisions can be revisited. It should be signed by all team members. If you have a large team, you might want to use it for the project management team only. Co-location can help build team camaraderie by having all the team members in the same location. 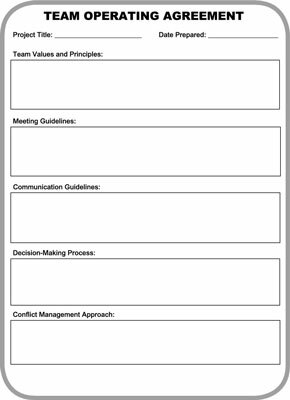 This facilitates communication, problem-solving, issue resolution, and relationship building. If having the team all in one place isn’t feasible, sometimes having a team meeting room where the team has its status meetings and stores project documentation is a good substitute. Rewards and recognition are separate from, but closely tied to, motivating. You have to know what motivates folks to reward them appropriately. According to McClelland, someone who is motivated by affiliation won’t feel rewarded if you give her more responsibility. However, someone who is motivated by challenges or power will feel rewarded by receiving more responsibility. Oftentimes, project managers don’t have the capability to give or withhold raises, but sometimes they have perks at their disposal or the capability to hand out bonuses. For example, they may be able to give out company logo wear or gift certificates to local restaurants. Reward only that behavior you want to see more of, such as meeting a milestone because the work was well planned and executed — not because heroics and overtime were needed to meet it because the work wasn’t well planned. In general, win-win rewards are better than win-lose rewards. For example, rewarding the team for pulling together to overcome a challenge is a win-win because everyone worked together and everyone gets rewarded. Comparatively, a reward for the team member of the month means that if one person wins, others lose. Win-win creates collaboration; win-lose creates competition. The Code of Ethics and Professional Conduct specifically states that project managers should not reward or punish based on personal considerations, including but not limited to, favoritism, nepotism, or bribery.